At Milpitas Optometric Group, we believe strongly in giving back to the community and caring for the eyes of all those in need. Outreach programs represent an opportunity to show the community the level of commitment our optometrists have to their community. Locally, our doctors participate in: The California Vision Project, Lion's Giving Sight, The California Homeless Project, Vision USA, and Infant See. Internationally, Dr. Gordon is an active member of the Flying Doctors and participates in Bi-annual trips to third world countries. 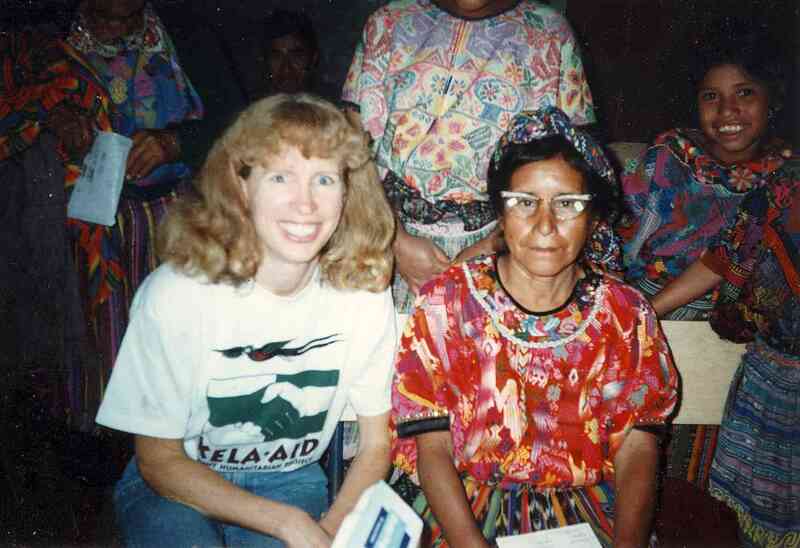 These medical mission trips have taken her to El Salvador, Costa Rico and rural Mexico. She plans to continue participating in medical mission trips providing free exams and donated glasses to those in need. 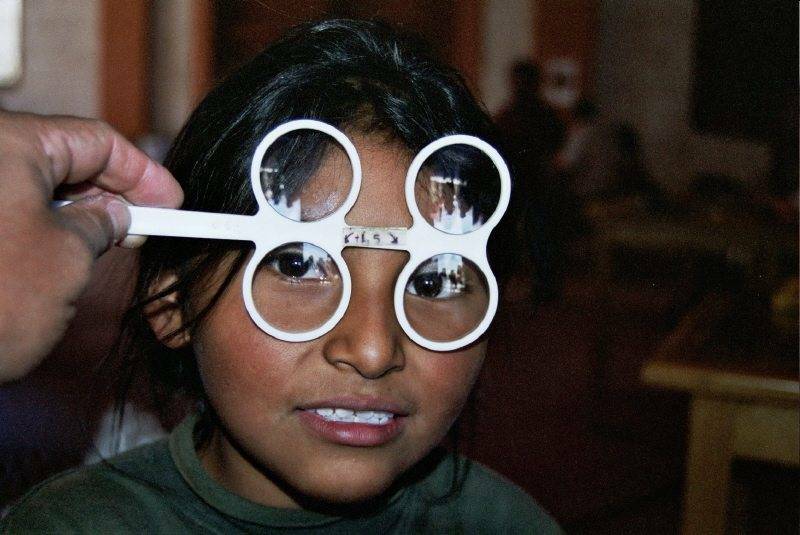 When you invest in your retinal health by doing an Optomap retinal scan, we will donate to Optometry Giving Sight to help bring eye exams and glasses to children who need them around the world. We accept many vision and medical plans. Visit our Insurance page or call us at to check your coverage. Don't forget to apply for no interest financing to use towards any of your eye care needs, including glasses, contacts, and LASIK through CareCredit! As always, Dr Stocker is a great doctor and we love coming back to this office. I have been going to Dr. Kavanagh for over 15 years. My friends ask why I don’t go to other businesses to save a little money, but I wouldn’t dream of anyone else taking care of my eyesight. He takes a vested interest in the health of my eyesight while educating me along the way. He offers his experienced and knowledgeable advice, but never forces me to do anything I don’t want to do. However, I have learned from experience that I should just listen to him in the first place. He has never been wrong (optomap, progressives, computer glasses). I feel like a partner in my eye care instead of a “patient”. There is a big difference. If you’re not sure what I mean, then you are seeing the wrong optometrist. In short, Dr. Kavanagh is one of the best optometrist around! The doctor I had was SO personable! Really enjoyed him and he gave some GREAT advice on some eye issues I was having! Would refer him to anyone in a heartbeat. This time my daughters were treated and not me since they had eye infections. Of course Dr. Pham and staff were fantastic as usual and took care of my girls. It’s ridiculous I look forward to going there. 🙂 Can’t recommend anyone going here enough. Thanks for taking care of my family. Been going to Milpitas Optometric Group a very long time and would not think of going anywhere else. I’ve had insurance in the past that I could go to like Pearl Vision or JC Penny Optical and be covered for expenses but I chose and choose MOG and pay out of pocket because of the excellent care of Dr Gordon . She takes the time to explain the results of the exam and any questions you have. The entire staff is friendly and helpful and greet you with a smile. I would highly recommend MOG. I made the appointment online and was able to receive an appointment a little later on the day of my first choice. I was seen on time and received very prompt, courteous, and professional service. My correction prescription had changed since my last visit so I picked out new glasses. I have diabetes and really appreciate the high-tech optomap and canon retinal imaging Milpitas Optometric can provide. Dr. Stocker and the entire staff provide great service. Excellent doctors! Friendly and professional office staff. On time appointment and flexible with changing appointments in spite of the busy end of the year. Staff is very helpful in identifying frames and glasses and providing suggestions. The entire staff is friendly, patient and helpful. They always make me feel welcome and as if they’re happy to see me. The doctors are great and I’m confident I’m getting the best care for my eyes. 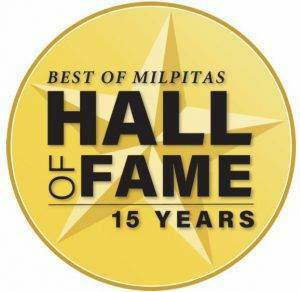 I have been going to the Milpitas Optometric Group for over 15 years. It has been a wonderful experience each and every time! The staff treat you with respect and are very helpful and efficient. I have never been disappointed. Lastly Dr.Stocker is top notch. My family all go to Milpitas Optometric Group for annual eye check up. My husband goes to see Dr. Lee. I didn’t hear any complaints from him yet. Dr. Gordon is the doctor for me and my son. She is very patient, humorous and professional! She answered all my questions in details. She also explained clearly any concerns of eyes by video and examples. My son is two years old. Yesterday she managed to check his eyes successfully. Totally 5 stars for the service and the staff! Been seeing Dr. K for years, staff is wonderful. The whole process from setting up the appointment, exam, and getting the glasses was handled very well. I’m impressed. I had the best experience ever every single time I go there. Customer service is the best. I wouldn’t go anywhere else for my eye care. Their office staff is pleasant and extremely helpful with booking appointments, etc. and the doctors are the best! Great doctors, nice front desk staff, staff great at guiding through process of exams, great selection of glass frames and sunglasses for great prices. I’ve used Milpitas Optometric for over 15 years and have seen most of their doctors. My experience with each of them has been great. The front office staff is stellar as well. Their selection of frames is pretty extensive and good quality. All of my family has been quite pleased with their service and care. After 30 years with Dr Stocker nothing has changed his excellent care. It always good to “see” him. Several years ago he found I had an eye issue. Because he caught it earlier I was able to find snap excellent specialist to help me with a surgical procedure. Even though staff come and go, the care is always professional and friendly. I love Dr. Gordon who is such a caring doctor and so much fun to see. My teenage son and I love coming to the office as everyone is friendly and helpful and the optician who helped find frames for us son rocks! We really enjoyed our visit and wouldn’t consider going anywhere else! Very thorough exam. Asked for a synopsis of my visit, and it was emailed to me when completed. Pleasant, efficient staff. Had an appointment; no wait period. I really like this optometry office, I’ve been coming here for several years with different insurances. The friendly and smiling front desk ladies are all very knowledgeable about the insurance details. There is a large selection of slightly higher-end, name brand frames – including Oakleys. I greatly appreciate their extended office hours, especially on weekends so I don’t have to take time from work for appointments. Very good, professional and fit me in immediately for an emergency eye surgery. I recommend them strongly. Friendly doctors and staff. Always service with a smile. A rare gem in Milpitas. Great job as usual. I come all the way from Nevada. Dr Stocker is worth the drive. Great optometrist. As a military pilot, I have had eye exams every year with very strict standards. I have always been very conscious of the health of my eyes. Dr. Stocker is my parent’s optometrist, but I had never seen him until retiring from the military. He is without a doubt, the best I’ve ever had. Every time I come to the clinic, the greeting is friendly and professional, the service and the exam are well done. And best of all the contacts fit well! I would recommend this facility! The staff are professional and friendly. Office hours are convenient. Dr. Gordon takes the time to explain procedures and what is going with my eyes. I was referred here by my sister and would refer anyone to come here. This group is truly top notch. I have gone to a fair share of other eye doctors and nothing compares to the quality of staff and doctors here. The office is incredibly nice, the staff from the moment you enter the door until you leave are super friendly, helpful, and efficient. The doctors are great. I saw Dr Gordon and Dr Stocker and both provided incredible comprehensive care to really make sure my eye problems were resolved. Their ability to see me on short notice is really helpful and they are right down the street from my work. I was very surprised by the amount of time they spend with me too. I am used to seeing a doc for like 10 minutes then they run out…both docs I have seen here spent over an hour with me! I will certainly be referring friends and family here! Excellent, professional and friendly service. Huge selection of quality/designer frames to choose from. The Doctors are all very caring, thorough, take the time to answer all of your questions and you never feel rushed. We have been seeing Dr. Gary Stocker for 15 years. He is thorough, wise, helpful, and kind. He is protecting our eyes with proactive care. The lens have been right on every time. Great choices in frames too. I had a wonderful visit to Milpitas Optometric, as usual! The staff was friendly and courteous, and Dr. Nicole Pham did an excellent job with my annual eye exam. I enjoy my annual visits, and will continue to use Milpitas Optometric for my vision care needs, and will gladly recommend them to a friend! Woke up with a ‘gummy’ eye, and realized it was probably an infection. My regular optician was closed on Mondays so found this on Google. The receptionist was very sweet and understanding about my problem and was able to fit me in within the next hour. Arrived for my appointment, paperwork was handled fast and efficiently was seen immediately by Dr. Kavanaugh who was very understanding and knowledgeable he was able to diagnose the problem in next to no time! This place was great. The whole staff was very friendly, experienced, and very knowledgeable. I would recommend Milpitas Optometric Group to anyone in need of a awesome optical experienced based on my observations. Always a pleasure to visit with the staff for our annual visit. We’ve been clients for at least 20 years and keep coming back because of the doctors and staff. Milpitas Optometric is the best! They are courteous, friendly, thorough and impeccably professional! The staff was great conducting the various tests before I was seen by my Doctor. Everything was explained to me and the appointment went very smoothly. The folks at Milpitas Optometric are great! From the friendly reception personnel, to personnel that administer the eye tests, to the Dr. Cavanaugh, who is very knowledgeable and personable, to the folks that assist you with your eye glass prescription and picking out the best frames for you. Great job guys in taking caring of my eye needs.